I’d love to be able to do a complete gel manicure at home, but sadly, I remain the cack-handed muppet I always was, and the thought of having to do all that cuticle-work and tidy-up and preparation makes me a little light-headed. Luckily, one of my good friends is Nails by Miss Merx, so whenever I fancy a full-on gel manicure, it is to her I go. Times being what they are, however, I can’t afford permanent gel manicures, and my nose being as problematic as it is (I can no longer bear the smell of nail polish) I can’t be doing with painting my own nails too often either, so what is a girl to do? 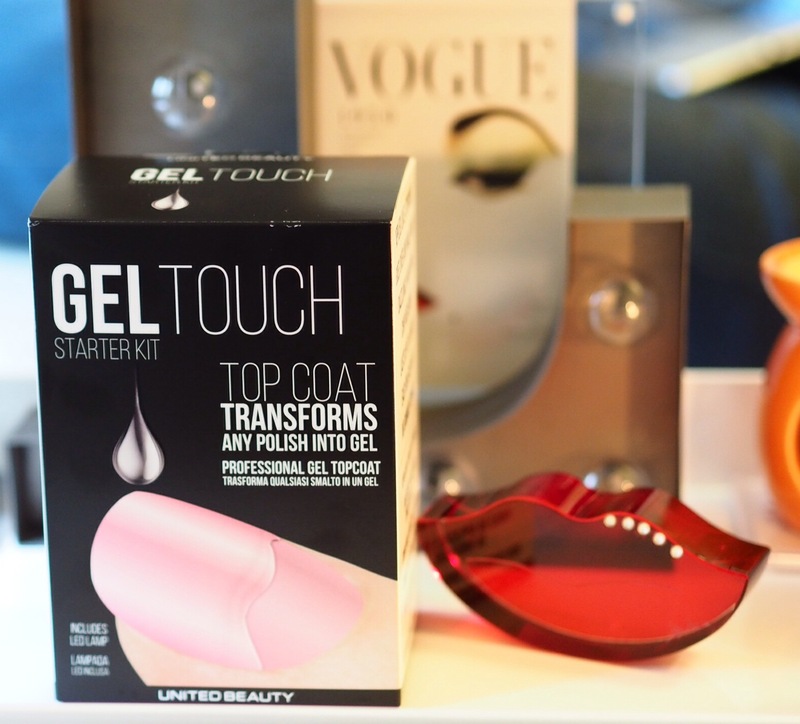 Enter United Beauty Gel Touch Top Coat, which claims to turn any nail polish into a gel manicure. All you do is apply your nail varnish as usual, wait until dry (incredibly important, this step), cure with the included UV lamp and boom! You’re ready to go! Costing £49.99, the kit includes a UV lamp, a bottle of topcoat and five cleansing wipes (which you use before and after applying the top coat, initially to remove grease, and then afterwards to remove any residual gel left over after curing). I really like this, with some caveats – the cleansing wipes are on the dry side, so once you’ve used them pre-manicure, they’re too dry to use to wipe off excess gel, and there are only five of them, and if you need two per manicure, that’s only two full manis you have wipes for. And, of course, there is the fact that your manicure won’t last quite as long as a full gel manicure, either. After a few months of using this, I can get a manicure to last ten days if I apply very (VERY) carefully, but a week is more usual. That said, a week is usually more than enough for me, I get bored of wearing the same colour for longer, anyway, and I can cope with only painting once a week, instead of two or three times as with normal nail varnish. I’ve used it a lot over the last couple of months (after buying myself some alcohol to use as a cleanser) and like it very much. If you’re expecting full-gel manicure wear, you’re going to be a little disappointed, but if you’re a lazy article, like myself, it’ll save you a manicure a week. Available from the United Beauty website.